Genuine OEM Dell Toner Cartridge, Cyan, 1,200 page yield. Dell part number: 331-0713, WHPFG. Color Laser Toner Cartridge compatible with Dell 2150cn, 2155cn. Compatible Dell Toner Cartridge, Cyan, High Capacity 2,500 page yield. Replaces Dell part number: 331-0716, THKJ8, 769T5. Color Laser Toner Cartridge compatible with Dell 2150cn, 2155cn. Compatible Dell Toner Cartridge, Magenta, High Capacity 3,000 page yield. 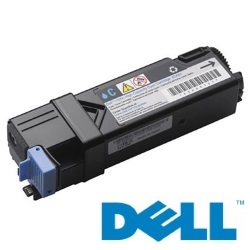 Replaces Dell part number: 331-0717, 2Y3CM, 8WNV5. Color Laser Toner Cartridge compatible with Dell 2150cn, 2155cn. Compatible Dell Toner Cartridge, Yellow, High Capacity 3,000 page yield. Replaces Dell part number: 331-0718, 9X54J, NPDXG. Color Laser Toner Cartridge compatible with Dell 2150cn, 2155cn. Compatible Dell Toner Cartridge, Black, High Capacity 3,000 page yield. Replaces Dell part number: 331-0719, MY5TJ, N51XP. Laser Toner Cartridge compatible with Dell 2150cn, 2155cn.